My favorite OTR cast and storylines.Hope to hear every William Conradepisode! I'm grateful that someone is posting old time radio and I enjoy the show Gunsmoke. However, I am less pleased with the audio quality. Granted the tapes are old and there's only so much clean up one can do without completely remastering them but the audio is fuzzy & hard to hear sometimes. Worse, is when the show is interrupted by a sudden jump; sometimes backwards sometimes forwards. I have to assume the shows aren't like that in their original form. The quality is good enough for a free podcast but it's nothing I would ever pay for. Nothing better than the classics! I think these shows are very entertaining. Great to listen to, very captivating. Each episode is like its own show. Amazing quality. I'm only 13, but i love to listen to these shows that my grandparents listened to, especially Gunsmoke! This is as good as radio gets! I am so glad more podcasts are getting put on. I love these stories! I'm so excited that more episodes have been posted. Gunsmoke is definitely my favorite classic radio program. Please keep them coming! Big fun for the whole family. Good moral stories. Very entertaining! Gunsmoke is a classic. I'm so happy it's on itunes! No one will argue that Gunsmoke was an exceptional series. What I find great about these podcasts is the quality of the audio. These are collectable recordings. This series is widely considered to be the best of the old-time radio programs. It's a feast for the imagination, yet perfectly accessible popular entertainment. An ideal companion for a long car ride! My dad loved the Gunsmoke TV show so when I found out there was a podcast I gave it a shot. I found out that the old radio show is even better than the TV show! 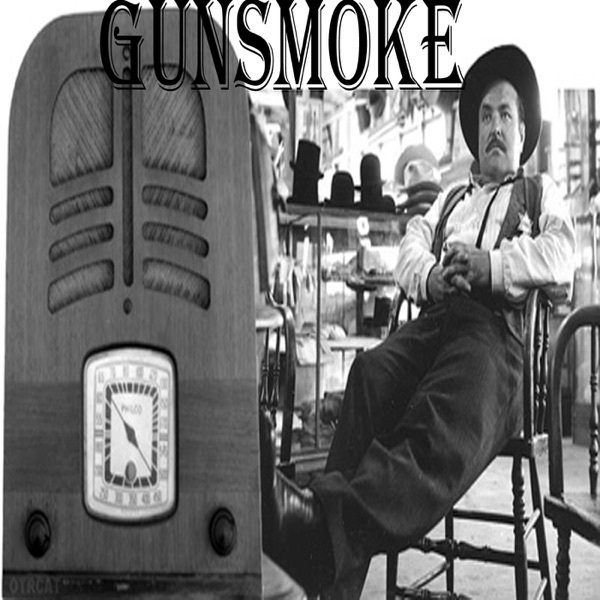 If you are a Gunsmoke fan I highly recommend it, or if you're just an old time radio fan. The only thing I don't like about it is the music is much louder than the dialog and if you download a couple episodes you'll know what I mean. My Dad loved the television show, my Grandad the radio broadcast and I've done discovered that both are pret n' near unbeatable. Thanks iTunes. Oh yeah gun smoke baby!